This post is part of an ongoing Good Client Guide series, which serves to demystify the web development process and empower consumers of web design (known to many in the industry as The Client™) to be an informed and effective partner in the process. Missed a step? Check out Step 1: What To Do Before Your Project. Once you have done your homework and realized that you need to hire someone to build your WordPress website, you still need to figure out who will be the best fit. Each website project is different, and may require different types of skills or numbers of people based on the specific problem that needs solving. One decision you will need to make is whether to hire an individual or a team to build your project. Although cost is a factor here, there are several other considerations that are equally important. When deciding whether to hire a freelancer, contractor, or an agency, you should also evaluate which type of business model will be best suited to your circumstances. The list below outlines the most common differences and similarities between the three approaches. *Complex projects can be done with multiple freelancers/independents working together and achieve results similar to those of an agency, but it’s best to let them pick each other themselves rather than you assembling the team. They will often already have people they collaborate with on larger projects. Make sure they can communicate directly with each other at all times, rather than having to go through you or a third party. 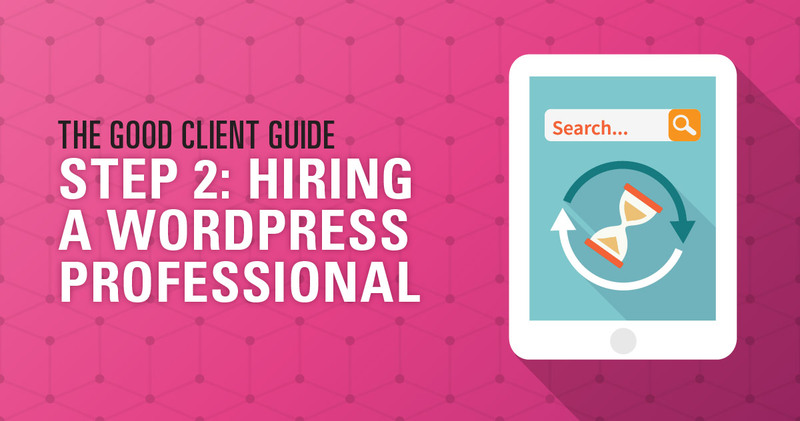 When you are looking for a WordPress professional to help you build your site, you might also see several different job titles or skill sets mentioned. This can be particularly confusing, because not only are there multiple titles, but each person may be using them a slightly different way, and may actually have very different abilities from someone else with the same title. Do you hire a designer or a developer, or something else? Are all developers the same? Do web consultants also provide SEO? Which is the best fit? To make this easier, I’ve listed out many of the common WordPress job titles you may encounter, along with which skills a person with that title usually has, which skills they sometimes have, and when it makes the most sense to work with that person. Keep in mind that many projects, especially larger or more complex ones, require a person who possesses more than one of these skills, or multiple people working alongside each other. Usually: means nothing! There is no objective criteria for someone calling themselves an expert. Evaluate a person based on their other skills. How do you decide which combination is the best fit for your project? The answer is usually defined by how many of the four factors from our previous post apply. In general, a larger, more complex project will probably be most successful if you have a combination of experiences available. This means hiring a team of people (such as an agency or collective), or a person with a deep understanding of the appropriate overlapping skill sets (like a designer who is also a frontend developer, or a theme developer who is also a plugin developer). Conversely, a smaller, less complex project, or project with narrowly defined goals, may benefit more from a freelancer or contractor that has the specific skills needed to solve that problem. Coming up in Step 3: Phases Of A Web Project, we will explore the steps it takes to go from initial concept to final build.